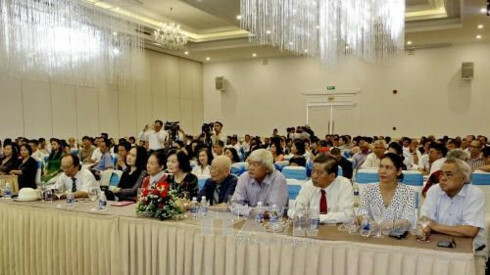 The Ho Chi Minh City Vietnam-Slovakia Friendship Association (VSFA) and the Ho Chi Minh City Union of Friendship Organisation (HUFO) held a gathering in the city on October 8 in celebration of the 25th anniversary of the Constitution Day of Slovakia (September 1). President of the HCM city’s VSFA Bui Quang Hai congratulated Slovakia on the Day and thanked the Slovakian Embassy and Consulate General in HCM City for supporting his association to promote its role of connecting local people with Slovakians. The construction of the Friendship Tower invested by the CZ Slovakia Vietnam Co., Ltd will be one of the unique symbols for the sound traditional friendship between the people of Vietnam and Slovakia. A representative of the Slovakian Embassy in Vietnam highlighted the strong and effective development of the bilateral relations in politics, economics, culture and society, saying that they were demonstrated by high-level delegation exchanges of the two countries’ States, ministries and localities as well as the stable growth of two-way trade and the investment of Slovakia in Vietnam and vice versa.